Alex Kavalaris is a civil litigator with a practice focused on real estate, general business litigation, and construction litigation. She has experience in all aspects of civil litigation, including case evaluation, pleadings, legal research and analysis, motion practice, discovery preparation, alternative dispute resolution, and trial. In her practice, Alex represents clients in a variety of matters and practice areas, including breach of contract and specific performance claims, non-disclosure cases, easement disputes, quiet title actions, partition actions, residential and commercial foreclosures, landlord-tenant disputes, unlawful detainers, commercial litigation, construction disputes involving public and private works, and employment claims.  Prior to joining Ventura Hersey, Alex worked as a civil litigation associate at a medium-sized firm in San Jose, California, where her practice focused on real estate litigation. Alex was born and raised in the South Bay. She recently lectured at the Broker Bootcamp seminar for the Santa Clara County Association of Realtors (SCCAOR) on changes in real estate law, legal requirements for brokers, and avoiding litigation. Alex is also on the Business and Litigation Executive Board for the Santa Clara County Bar Association. She is actively involved in the local community, most recently with the YWCA in planning the organization’s annual fundraising luncheon. Alex graduated from Santa Clara University School of Law in 2010 and holds bachelor degrees in Political Science and English from Santa Clara University. During law school, Alex worked as a certified law clerk at the San Mateo County District Attorney’s Office on misdemeanor, felony, and juvenile cases as well as criminal appeals. Alex was also an editor for the Santa Clara Law Review and an Honors Moot Court quarterfinalist.